This great home has 1,785 sq ft of living space and sits on a 0.18 acre lot. 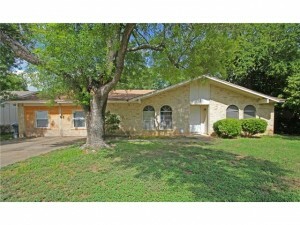 It is located in the sought after neighborhood of South Austin. Kids will enjoy going to Cunningham Elementary School or Crockett High School because of the close proximity to this home. It is in the Austin ISD (Independent School District) and is served by Cunningham Elementary School, Covington Middle School and Crockett High School. Prepping and serving of food is very fast and easy because the dining and kitchen is located in the same area. Home also has smoke detectors for safety. The garage has been converted with two bedrooms. The third bath is located just off the converted garage. All this built to code and permitted. This also a master bedroom and two additional bedrooms and baths. Lots of room here! The spacious outdoors features a patio and a storage shed. You could also put a swimming pool, barbecue area, a deck with hot tub or spa, or a playscape for the kids. Lots of possibilities here to make it your home! Check out the VIRTUAL TOUR of this South Austin Home for sale, watch it to appreciate! If you’re looking specifically in South Austin, be sure to check out some options of South Austin homes for sale. If you are interested in searching outside of south Austin is here is a complete of Austin Homes for Sale. Please call Austin Realtor Christopher Watters at 512-829-8000. Learn how we can help you sell your home for up to 18% more money utilizing our Guaranteed Sale Program Austin. If we can’t sell it, we’ll BUY it! Finally, a Realtor who will put their money where their mouth is!